Tamarack This tree is ‘Mountain Grown’ at Alpha Nursery and is an ‘Idaho Preferred’ Plant. 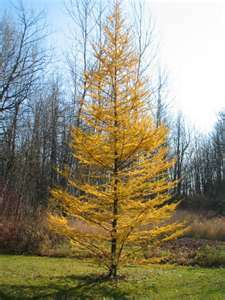 The Tamarack tree, or Eastern larch, is among the few conifers that lose their leaves in the fall. They change from green to a bright yellow in the fall. The Tamarack is native throughout northern North America. The Tamarack makes a nice landscape tree. The Tamarack likes to grow in cool, moist spots but is adaptable to a wide range of conditions. It prefers slightly acid soils to alkaline soil and likes full sun.